There’s been a lot of buzz generated in the eco-friendly sustainable housing development space in recent times. Good Earth Bangalore is one of the biggest pioneers in this segment, offering environment friendly, appealing homes which are in close communion with nature. Needless to say, Good Earth enables buyers to do up their homes innovatively with attractive landscaping, a wide gamut of sustainable features and emphasis on traditional craftsmanship. Good Earth online was founded with a vision towards enabling better well-being, eco-friendliness and interaction with one’s surroundings. 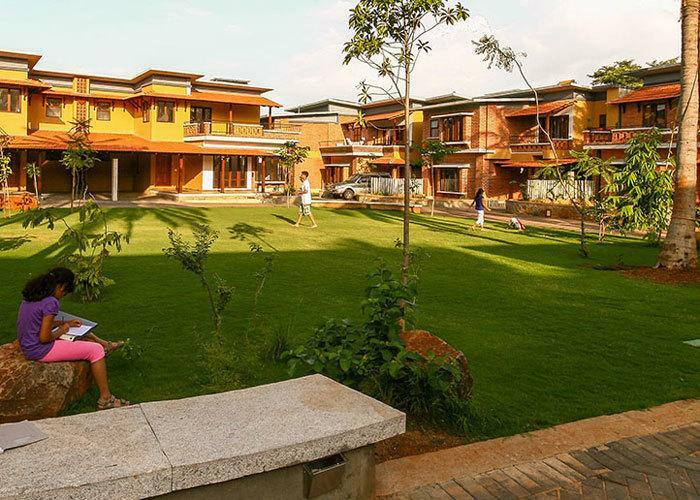 The company has been on a quest for close to three decades to offer eco-friendly appealing homes unlike any other conventional offering. Good Earth draws inspiration from Laurie Baker and is a pioneering entity in alternative architecture and eco-friendly development. The journey of the brand has been a chequered one, having transformed from an NGO to a consultancy agency and design firm before taking the plunge into development. Good Earth has a presence in Bangalore, Calicut and Cochin. From Good Earth plans and architecture to Good Earth home décor, there are several unique facets of the brand’s philosophy towards development. Aangan by Good Earth at Kakkanad is an apt reflection of the brand’s core philosophies and design excellence. The project offers abundant natural greenery and a nature-integrated layout with open spaces, a central courtyard and ample spaces for relaxation and unwinding. The project offers premium villas with private gardens and the central court integrates a swimming pool and club house while there is a jogging track going all around the project. The project is located strategically next to the SEZ (Special Economic Zone) at Kakkanad adjacent to the Thuthiyoor Road. The Civil Station is about 2 kilometres away while the Seaport Airport Road is only 1 kilometre away. The four lane extension (proposed) of the Info Park Road-MG Road is just 400 metres away from the project. The project has a 1.5 acre open landscape out of a total area of 2.5 acres with solar power, rainwater harvesting, organic waste management and rainwater recharging for common zones along with a storm water drainage system, 24 hour power back-up, recessed gates for easier car maneuvering and advanced security features. The exclusivity of the project is reinforced by the fact that there are only 20 villas within the community. Other amenities include a massage and steam room, party space, indoor game facilities and more. Checkout & Read also: Why is Redgum firewood the best for your fireplace? What Skills are Necessary to Make a Career in the Finance Sector?